“I was so nervous the whole night. I wrote for like two hours. I didn’t get no sleep,” Rice recalls. Drawing inspiration from artist such as Eminem and Jay-Z, the groups lyrical content and stage presence is not only centered around the hip-hop arena but they appreciate many types of musical genres and artist. “I’ve grew up on music like old school, rock, pop. I listen to everything,” Slappey says. 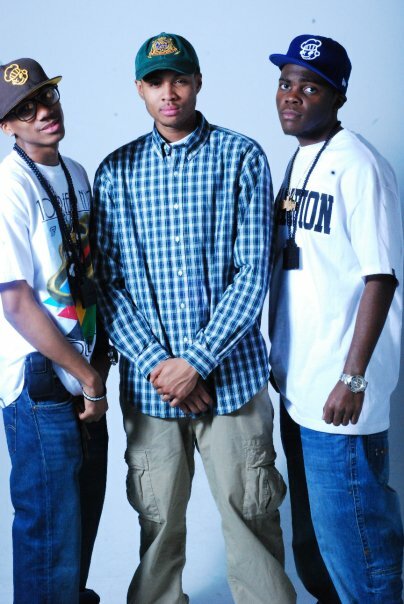 Skigh High was the opening act for rapper Wiz Khalifa in 2009 on Michigan State’s campus at a concert hosted in the Wharton Center, which the group names as one of their most memorable moments. “We got the crowd way hyper than he did. On Twitter that night people were like ‘bring Skigh High back!’” the group says. Although the group believes the MSU community in general does not support them as much as they could, they do name a specific set of people who support their music as well as their performances. Among those few are Dasia Fletcher, Jasmine Christopher, Erika Talbert and Onetress Robinson. Edwards expands on the list by naming his girlfriend and other members of Skigh High. What makes these men continue to write, produce and perform their music? Some say it would be the aspect of fame and fortune but for these guys that is not the primary factor. “It’s been my passion. I’ve been making music since the 9th grade. I’ve wrote poetry since I was little so I turned poetry more rhythmic and it turned into raps,” Edwards says. Rice’s reasoning for performing differs from that of Edwards. Although the group is currently unsigned, Skigh High has aspirations of being signed to either Def Jam or Interscope Records. THIS IS FREAKIN HAWT! Can I join VOICE?